Every morning I go hunting for things to blog. Most of the time it's pretty easy, just refresh the Flickr feed and boom, MOCs galore. These days have been a little sparse, making the job a little tougher. 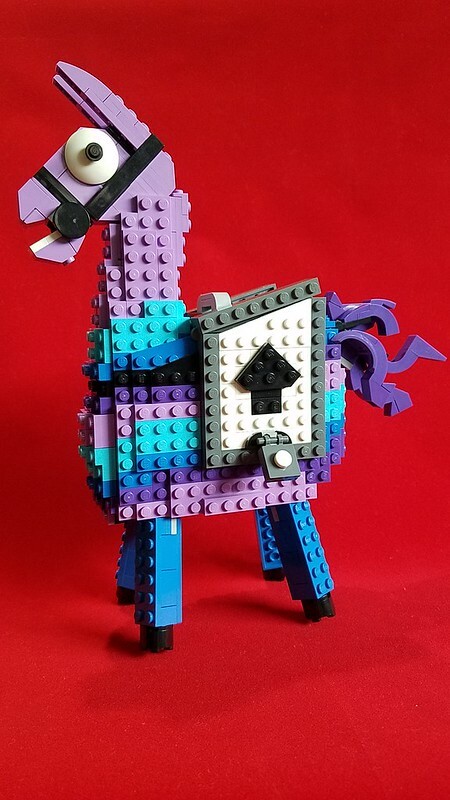 So I find it serendipitous that the thing I find this morning represents finding treasure, it's a Loot Llama from Fortnite by builder reticence. It's today's treasure.